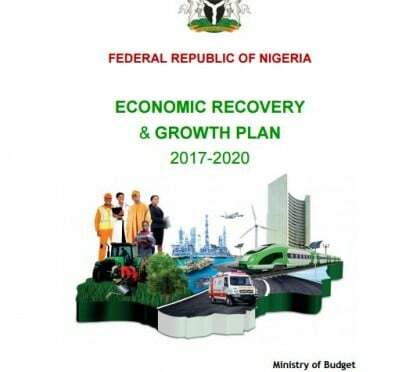 The Federal Government has commenced the process of developing a detailed implementation roadmap of the Economic Recovery and Growth Plan (ERGP). The Minister of Budget and National Planning, Sen. Udoma Udo Udoma, made the disclosure at the Stakeholders’ Engagement on the ERGP implementation Roadmap on Tuesday in Abuja. Udoma said that the government had laid out the roadmap for a step by step delivery of each of the strategies. He said each strategy would be further broken into component activities, sub activities and actions. “Each action will be supported by clearly assigned responsibilities, which will be sequenced against clear milestones and timelines for easy monitoring. “We have also commenced the process of establishing a Delivery Unit, as well as Implementation Units, to facilitate the effective implementation of the plan. “This is to be commenced with the establishment of special task forces on the key execution areas of the plan,’’ the minister said. Udoma said that aim of the meeting was to further get the input of the stakeholders on effective implementation roadmap of ERGP. He said just as the ERGP was developed through the extensive consultative process to ensure collective ownership, plan implementation would involve constant dialogue and consultative with relevant stakeholders. The minister, however, thanked Nigerians and international community for the positive feedback received on ERGP. “I have just received returned from the World/IMF Spring Meetings in the US. Most of the comments we received there were very encouraging. “We cannot enjoy the benefits of the ERGP unless it is effectively and faithfully implemented. Udoma further said that the government would focus on priority areas stated in the plan and establish clear accountability on it. “We must set targets and develop detailed actions plan; we must mobilise and allocate resources to the priorities. “We must create an enabling policy and regulatory environment and we must set up delivery units, or units, to monitor and drive progress,’’ the minister said. In addition, he said that the government was pursuing a path that would move Nigeria away from jobless growth driven mainly by petroleum revenue to an inclusive and broad-based growth. Earlier, the Permanent Secretary of the ministry, Mrs Fatima Mede told the stakeholders that the plan would help Nigeria to come out of recession and help to grow the economy in a sustainable manner. Mede, however, thanked the stakeholders for their input in the development of the plan and urged them for their contributions in the implementation roadmap of the plan. The News Agency of Nigeria (NAN) reports that ERGP is President Muhammadu Buhari led-administration’s blueprint, aimed at building a new Nigeria to produce locally made goods. ERGP’s projected that Nigeria will make significant progress to achieve structural economic change with a more diversified and inclusive economy in five key areas by 2020.